Is it time to replace your old heating equipment with a new, energy-saving model? 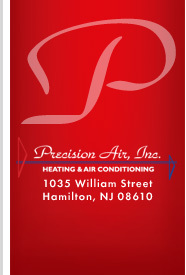 Precision Air can provide you with a FREE estimate on new or replacement installations for your comfort equipment. Looking for a repair? We'll come to your home, diagnose the problem and give you a written quote outlining the recommended course of action. Fill out the form below, and a service representative will contact you to arrange your appointment. Have we ever serviced your home before? Is this estimate for replacement of broken down or out of service equipment? Is this estimate for emergency replacement? Is this estimate for planned replacement of old or inefficient equipment? Is this estimate for new installation required complete duct system? How can we help you or what type of problems are you experiencing?